Vision Overseas Education is an Institute providing Coaching for IELTS,Eng Spoken,Personality Development,Interview Prep. Also we have Study Abroad Options. 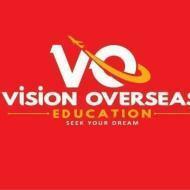 "Thanks vision overseas for helping to get my desired ielts score. I got 6 each band in just 1,5 months. I would recommend everyone to go once. " "Best institute in Patiala. I had learnt a lot. Its helps me in my interviews and my daily life. I recommend this to all. " "Not good at all. No learning, no good tips. Tutors are very new and don't tell anything. Avoid it and save your money. " "It is the best institute in town. They have impressive study material and ppt based lectures. Thanks team vision overseas to help me get 7 bands. " Can I apply PR to Canada with a 5.5 IELTS score? Can I get a working Visa for Canada with an IELTS Band Score 6 and reading Score 5.5? How can I improve my vocabulary, spoken English and stage fear? I cannot speak fluently. When I present in front of the crowd, I feel nervous and empty minded. I am introvert always. I like to remain silent. Any suggestion? Try to read and observe Enlish Newspaper as you will find a lot of high vocabulory in it like Tribune or Hindustan times. Is IELTS band 7 enough for Canadian PR? Depends on the profile your are applying for Canada immigartion. Demands Ielts Score as per your Previous profile. I want to improve my communication skill. As I am a working guy so don't have much time to join any regular course. So any suggestion for online English speaking course. View online English lessons which is available on various online portals and try to observe them. Vision Overseas Education conducts classes in IELTS Coaching, Interview Skills and PTE Academic Exam Coaching. It is located in Bagichi Het Ram, Patiala. It takes Regular Classes- at the Institute. It has got 4 reviews till now with 100% positive feedback.